Do you want to teach kids Spanish? You’re in the right place! Learning a new language is a big goal, but I promise you’ll never regret getting started. This new Learn Spanish for Kids starter kit will give you the materials and resources you need to start teaching kids Spanish. Today I’m sharing some tips for parents who aren’t native speakers, or plan to learn while their kids learn Spanish. 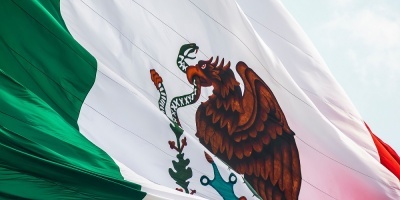 Spanish is a very accessible language for English-native learners, as English and Spanish share similar alphabets and a fair share of cognates. There are also many, many language resources available to English speakers. So many, in fact, that it can be overwhelming knowing where to start to teach kids Spanish. If you take the time to make a plan, and do the hardest part, actually getting started, you can learn a lot as a family. Here are my tips for getting yourself started to teach kids Spanish. It’s common to have false starts as we begin a new habit. In our excitement, we get started before we have the right resources, and then lose steam. I suggest taking time to gather resources, for Spanish for kids and yourself, to set up a strong start. This “Learn Spanish for Kids” mini course for kids will include many useful resources and recommendations. Make sure to take a look at our Spanish Booklist for Kids, and our Language Resources where you can find lots of additional information. When your kids see Spanish in all kinds of contexts, they’ll be more eager to learn and respond more positively to lessons. And when you have the materials you need at hand, you’ll be more likely to stay consistent and stick to your plan! Do you want to hire a tutor, sign up for a class, or learn at home? Will you try to study together for 15 minutes every day? Do you need to schedule a time twice per week? Can you shift some screen time to Spanish shows? You’ve got your songs cued, apps downloaded, and a schedule written down. But how do you actually teach kids Spanish? Where do you start? Though most languages have extensive dictionaries, we only use a fraction of them in everyday life. That fraction is key to communication! If you only take away one piece of advice for teaching, it’s this: make high-frequency words the center of your lessons. High-frequency verbs, in particular. You’ll notice I didn’t list high-frequency verbs with the other topics above. That’s because I don’t want you make flashcards and have your kids “study” verbs (though you can). Instead, work them in slowly and in context. You can also print all of my common verbs and words lists, and keep them handy. 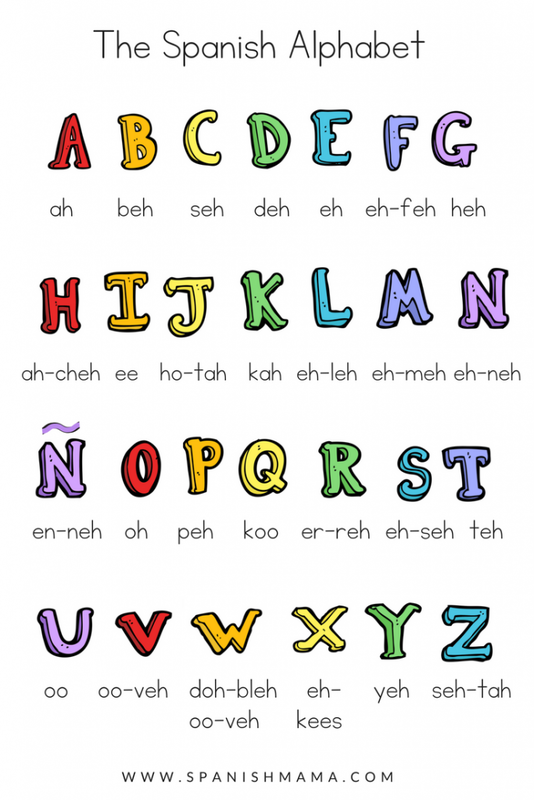 (Here’s a helpful guide to using and pronouncing top Spanish verbs, and gustar, specifically.) The most important thing is for you to be able to use them comfortably as you speak to your kids. Let’s say you are learning fruits and vegetables with your kids. There are many songs, games, and coloring pages to learn foods. But if you travel to Mexico, what’s really helpful is expressing what you like and want. Instead of just memorizing isolated food names, work in activities that express liking and wanting. Do a chart of favorite fruits and or interview Spanish-speaking family members, so you can use “Do you like (¿Te gusta…? )” again and again. As you do this, you are constantly circling back to words they know and depending on high-frequency words to communicate. You all will also be able to understand authentic Spanish resources more quickly, from knowing these common words by heart! If you learn the main question words in Spanish, you’ll be able to expand your conversations as your kids learn Spanish. While you read books, look at pictures, or play games, you can ask the same little questions that helped your kids learn their first language. Although it’s great to use the language when you are ready, practice isn’t actually the golden ticket to acquiring language. Input IS! 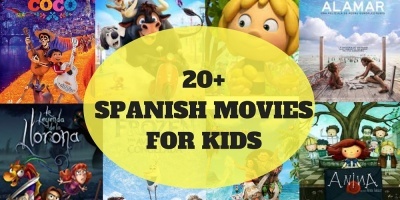 Your big goal as language teacher is giving your kids lots of Spanish they understand. We don’t want to just flood them with Spanish; it should always be comprehensible. Every lesson, they should hear language in context, and speak when they are ready. If your kids are resisting speaking, don’t stress too much. Focus on providing reading and listening. Ask yes or no questions, either/or questions, or questions with one-word answers. It’s really important to create a feeling of fun and warmth around Spanish for long-term success! You need some input yourself, to stay a bit ahead of your kids and provide input for them. You need to find outside sources of good input (language in context) for the whole family, since you aren’t a native speaker. Input can be just about anything, as long as it’s comprehensible. Spanish books, songs, games,cartoons, movies, stories, social media, podcasts, and videos in Spanish can help provide the language you need. There’s a place for grammar, but I don’t recommend focusing on it as beginning or intermediate Spanish learners. Instead, focus on communication through everyday language. Grammar can teach us about Spanish, but we want to immerse ourselves in comprehensible, whole language. You’ll be amazed at the useful messages your kids can produce, when they are given lots of useful input! Since many of us experienced grammar-based lessons ourselves, it may be hard for you to picture what this is like. Let’s say you have learned some common objects and are learning the colors. In Spanish, the verb ser (to be) is irregular, and adjectives have to agree in gender and number. You might come across these rules in your own study, but that doesn’t mean you need to do a big explanation, followed by a bunch of drills. Instead, listen to and provide whole, correct language. Show a picture of two red chairs and a picture of two blue chairs, and say, “dos sillas rojas,” while your child points to the correct picture. Listen to songs about the colors and read a simple story, and your kids will naturally learn how to describe things in Spanish. Play a game. Here are some favorites for practicing vocabulary and when working with younger kids. 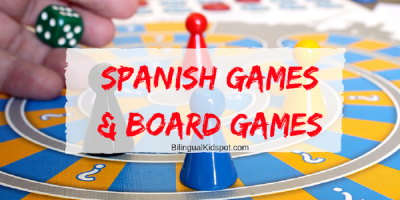 (10 minutes) And here is a great list of Spanish games and board games kids will love! 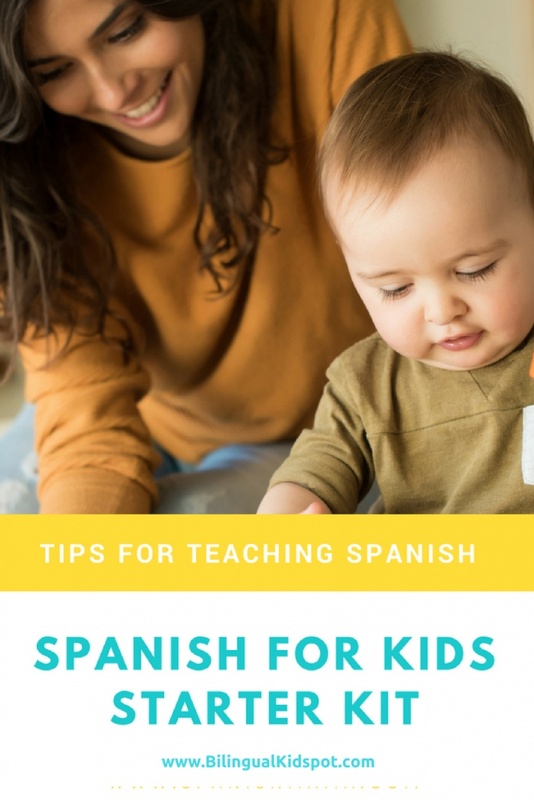 Hopefully these ideas will help you set up a solid learning plan to help teach your kids Spanish, and get going on the basics. Look for more specific lessons coming soon! This Teach Kids Spanish post is part of our Learn Spanish for Kids series hosted by Spanish Mama. You can find the rest of the series at Learn Spanish for Kids. This is awesome! Thank you for the printable charts! where is the starter kit, this is too confusing!